With only one week left before Hollywood’s biggest night, it’s time to break down the nominees and make some final predictions. Over the next four days, each of the twenty-four categories will be discussed, from the favorites to the potential upsets and finally a prediction. Up first, the technical categories. 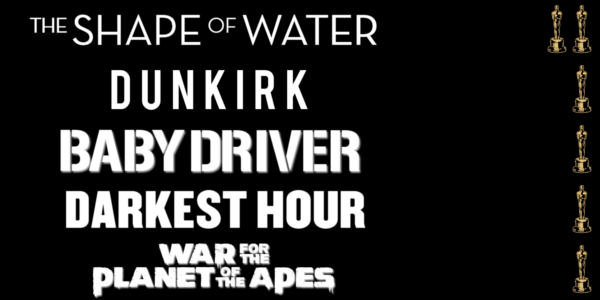 Though every film on this list is incredible from a visual standpoint, it’s time for the rebooted Planet of the Apes films to finally be awarded. Neither Rise of the Planet of the Apes nor Dawn of the Planet of the Apes were able to bring home the visual effects Oscar in their respective years, despite being incredibly deserving, but it seems like the threequel has the best shot this year of any film. I feel the only film that could upset it would be Blade Runner 2049 as the visual marvels of that film are the only thing close to the accomplishments of WETA in WFTPOTA. For those still confused about the difference between Editing and Mixing when it comes to the Oscar sound categories, here’s a helpful breakdown: Link. With that knowledge in mind, it’s fairly easy to see which of the five films nominated featured the best work in sound editing and that’s Dunkirk. And while I have Baby Driver listed as a potential spoiler, I find it hard to believe that Dunkirk won’t get this trophy come Sunday night. 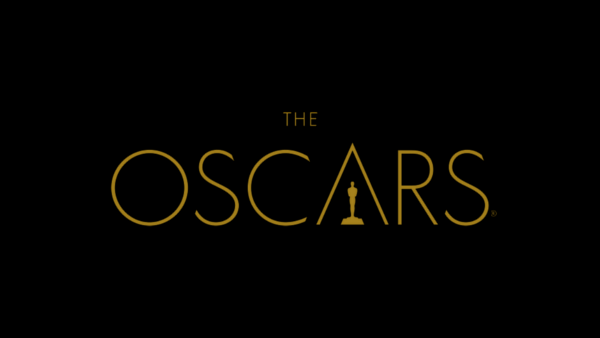 Again, with the knowledge of the differences between the two sound categories, it makes the approach to predicting the winners much easier than just guessing on your personal Oscar ballot. Though I believe it is very likely that Dunkirk gets its second Oscar in this category, it’s stranglehold may not be as strong here. While the WWII film does an excellent job with sound all around, Baby Driver and its reliance on music, sound effects, and dialogue all mixing together seamlessly is a big factor in what makes the film work so well. Without too much thought it would be fairly easy to declare the film about fashion, Phantom Thread, the runaway favorite of this category. For good reason too, as the designs, from previous Oscar winner Mark Bridges, are exquisite. But some excellent work from fellow Oscar winner Jacqueline Durran, who has two horses in the race by the way, can’t be ignored either, particularly from Beauty and the Beast. Surprisingly though the biggest turn came when the Costume Designers Guild awarded The Shape of Water their top prize not too long ago. Again, while it is easy to pick Phantom Thread and its lovely designs, I’m going with the most nominated film of the ceremony and the film the designers themselves awarded, The Shape of Water. This category is one of the select few where it doesn’t feel like a film could pull of an upset. Don’t get me wrong, all three films are deserving of the nomination, but only one is a clear winner. The team behind the makeup on Darkest Hour managed to absolutely transform Gary Oldman in Winston Churchill to the point where when the first image was released early last year, people already knew he’d get a Best Actor nomination for himself. Yes Oldman is great in the role, but part of the credit has to fall the makeup and hairstyling at play as well. The production designs for these two films really stand out above the rest, by a good measure too. Both craft gorgeous worlds through their designs that aid the audience in becoming fully immersed in the stories they have to tell. For The Shape of Water it’s 1960s Baltimore, complete with every shade of green imaginable, and for Blade Runner 2049 it’s a dystopian Los Angeles in 2049, both futuristic and run down all at once. Either film could take home this prize when the time comes, but I’m betting on the most nominated once again. With six categories down, it looks like it could be the start of The Shape of Water winning the night. Tomorrow is more about the short films and feature length awards, categories that are sure to make or break your personal Oscar pool.